PresenceNY is an eclectic Boutique carrying the latest and hottest trends for women & their homes. 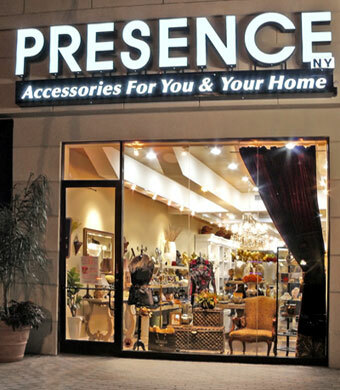 Located in the Woodbury Town Plaza, Presence NY has a plethora of decorative accessories, jewelry, and clothing for one-stop shopping. It is an outstanding store for special clothing, jewelry and stunning pieces for the home.